It's very exciting with homemade cake and cream cheese frosting. 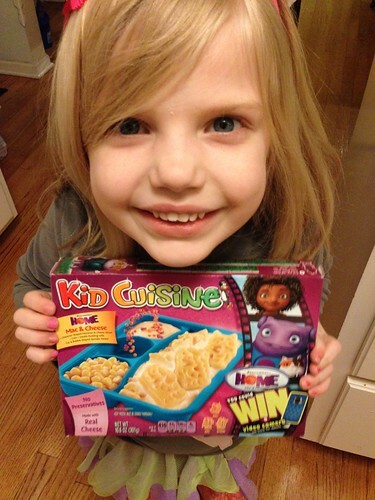 And here's what she chose, after being offered anything in the world, for her birthday dinner. 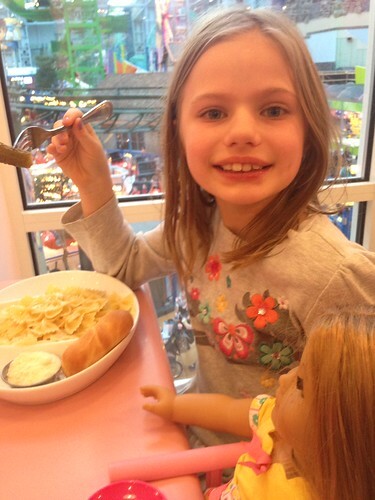 A few days before her actual birthday, we celebrated at the Mall of America! 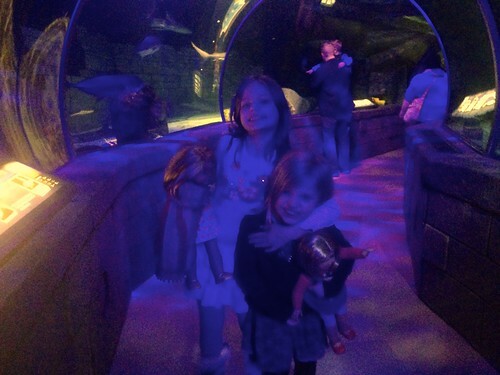 We went to underwater world. 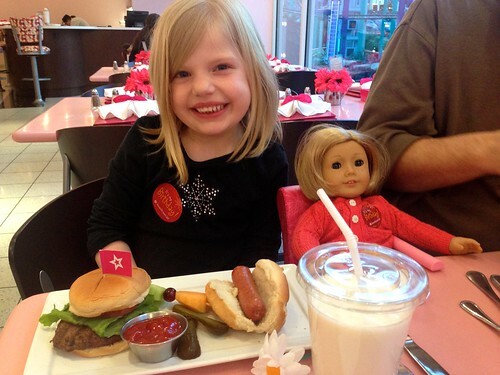 And, most exciting, ate dinner at the American Girl Cafe! 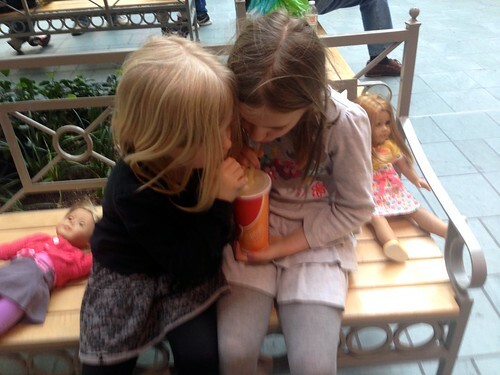 This was just the sweetest thing. 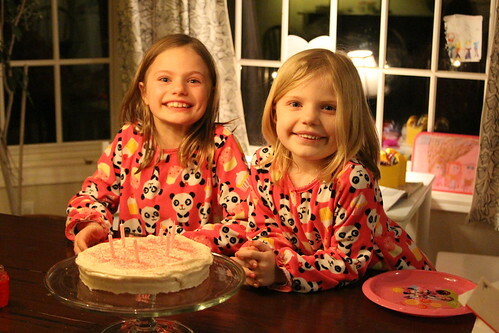 They gave both Mimi and Kit "It's my Birthday!" stickers. 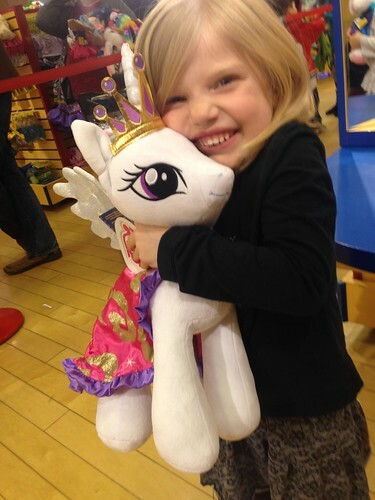 Then Mimi chose a present from Build-a-Bear--a giant stuffed My Little Pony. 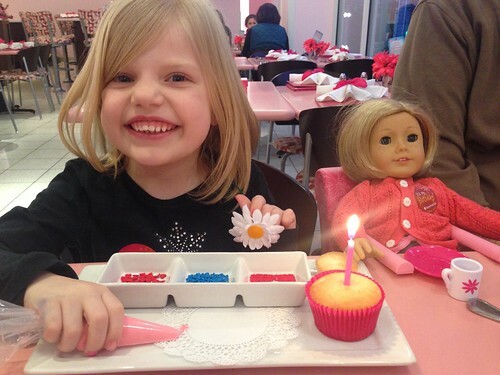 She was so excited it was just the sweetest thing. 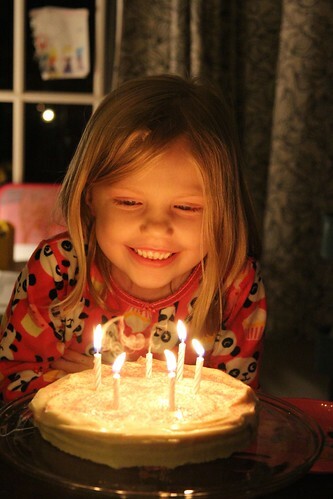 I hope you had a nice sixth birthday my dear Mimi Bea!